OXFORD — It was midway through the championship game and Alexandria had just taken control. Lady Cubs softball coach Brian Hess approached pitcher Emmah Rolfe before sending her back to the circle with the message that would define her legacy. Hess admitted it was “weird” to say something like that to player so young, but Rolfe embraced the moment and finished off the game, getting the final outs in an 8-6 victory over Oxford that gave the top-seeded Lady Cubs their eighth county title in Hess’ tenure. Rolfe, already an Auburn commitment who beat the Lady Jackets twice in the tournament, was named Most Valuable Player in her final Calhoun County Tournament experience. She is moving with her family to the Huntsville area in June. The hard-throwing right-hander said the award should be plural — as in MVPs — because all of her teammates were valuable. Leadoff hitter Mattie Wade was named the tournament’s outstanding offensive player for being the table-setter for the Lady Cubs’ offense and so hard to retire. She was 6-for-13 with six runs scored in the tournament, but in 14 plate appearances she reached base 10 times, including nine of her last 11. Her RBI double in the fifth inning — her fourth double of the tournament — gave the top-ranked Lady Cubs a much-needed insurance run. Maggie Phillips got consideration for top honors. 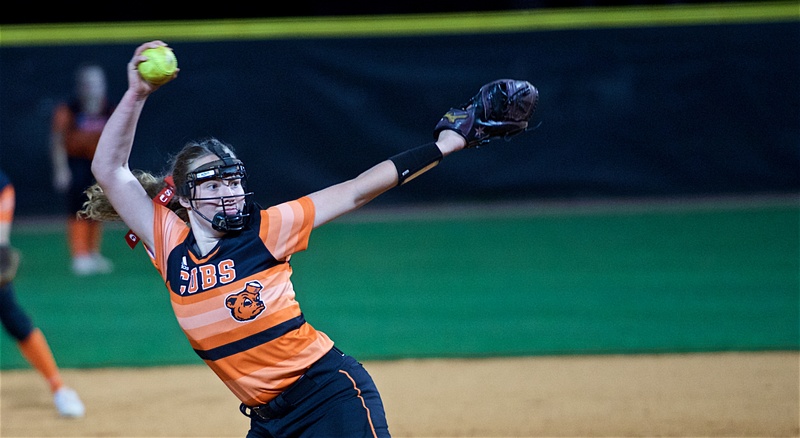 She had six hits, seven RBIs, hit the game-breaking three-run homer in the championship game, and pitched a two-hit shutout the night before against White Plains. 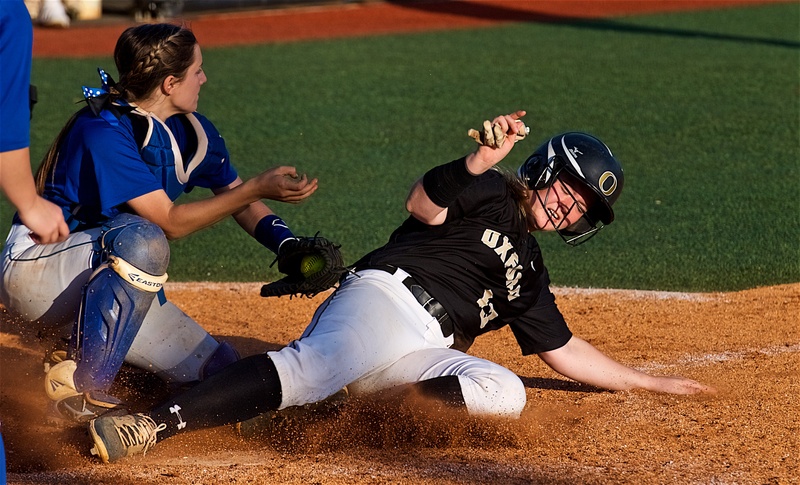 The win Friday gave the Lady Cubs a measure of revenge for Oxford beating them in last year’s title game on the Choccolocco Park Signature Field that serves as Oxford’s home field. The Lady Jackets, riding the high of a dramatic extra-inning win over White Plains in the losers bracket final, went up 1-0 on Emily Thrasher’s RBI infield out and 3-1 on Sarah Howell’s two-run double. Howell, the outstanding defensive player in the tournament, and Brentli Champion both were 3-for-4 with two RBIs for the Lady Jackets. 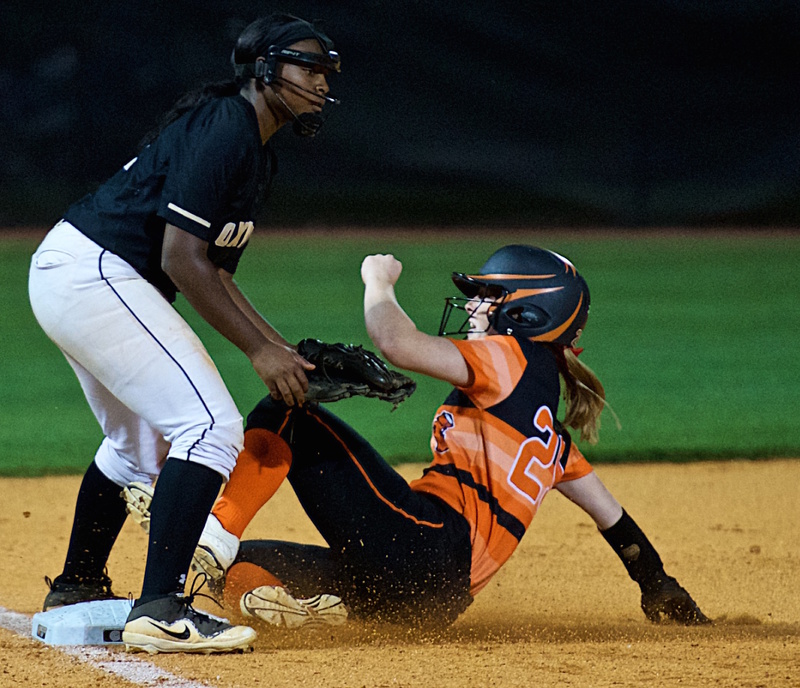 Alexandria finally got going after sitting through two preliminary games and took the lead for good on Saks transfer Lanie Dreyer’s two-run double in a three-run third, then appeared to break it open with Phillips’ homer in the fourth. But Oxford refused to go quietly. The Lady Jackets got a run in the inning of Hess’ “star speech” and then got two more in the sixth on Champion’s two-run double. Rolfe’s star rose at that point. She got the next batter on an inning-ending fly to center, then got through seventh with only a leadoff single. Maggie Phillips, Alexandria; Leighton Sparks, Alexandria; Millie Burt, Alexandria; Allison Bonds, Alexandria; Emma Stephens, Oxford; Emily Thrasher, Oxford; Brentli Champion, Oxford; Hannah Fortenberry, White Plains; Isabella Pinto, White Plains; Julianna Ballew, Pleasant Valley; Olivia Jones, Pleasant Valley; Emily Farmer, Piedmont; Kylee Jordan, Weaver; Mallory Bell, Jacksonville; Shelby Crump, Ohatchee.